I bought this perfume last year but I decided to talk about it only now I finished it, since I'm going to re-purchase it (the photos have been taken while ago though). 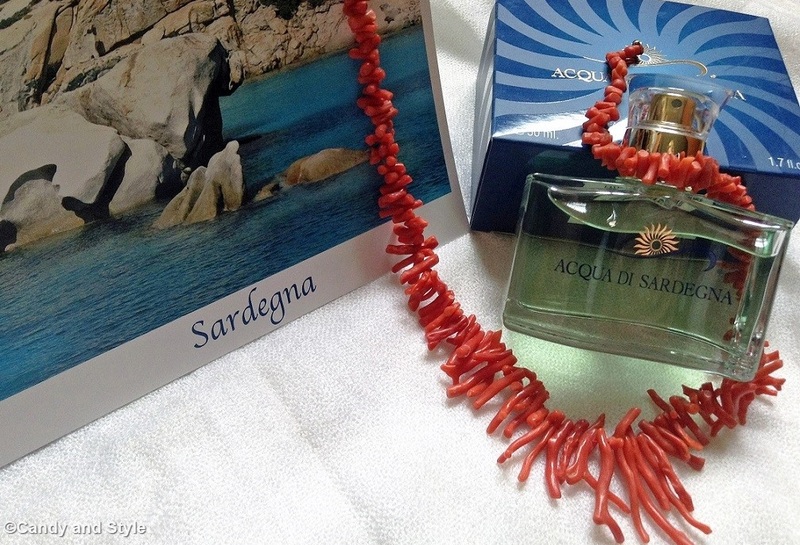 Acqua di Sardegna is a Sardinian line of perfumes, born out of the idea of Mauro Aprea, who has been inspired by the wide beauty and the unique fragrances of my beloved land, Sardinia. The perfume is fresh and intense, a floral scent with warm fruity notes, which evokes the typical Mediterranean fragrances. The wonderful scent trail it leaves, in fact, makes me soon think of my country: the summer, the sun, the sea, the flourishing nature and even the cuisine specialities. 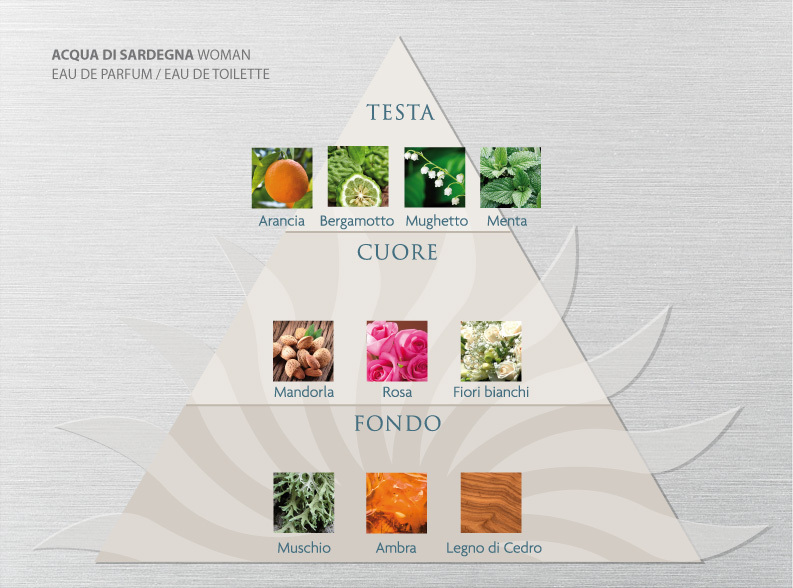 Acqua di Sardegna is available for woman, man and unisex; plus there are other perfumes from the same company. Unfortunately, while I was checking out the site, I discovered the products are only sold in Italy and just in some areas, not yet abroad, but I think the brand is constantly growing. Un mix unico.... mi piacerebbe provare la fragranza donna!!! Io non lo conoscevo Lilli, ma chi meglio di te ne poteva parlare? Mi piacerebbe proprio provarlo! Amica, ti auguro un felice week end e ti abbraccio forte. ciao Lilli mi hai illuminata non ne sapevo nulla! Acqua di Sardegna??? Da come la descrivi deve essere buonissima e ti dirò che la voglio proprio provare, magari vengo anche teletrasportata nella tua isola! Anch'io voglio provare, sembra buonissima!! Hi Lilli! For the ingredients seems a nice fragance, have a nice weekend doll! I just love fresh and intense parfummes! This scent sounds absolutely lovely from the way you describe it Lilli! If I ever chance upon it, I would definitely like to smell it. I really like how it has special meaning for you since it reminds you of your beloved country :) Have a splendid weekend my dear! 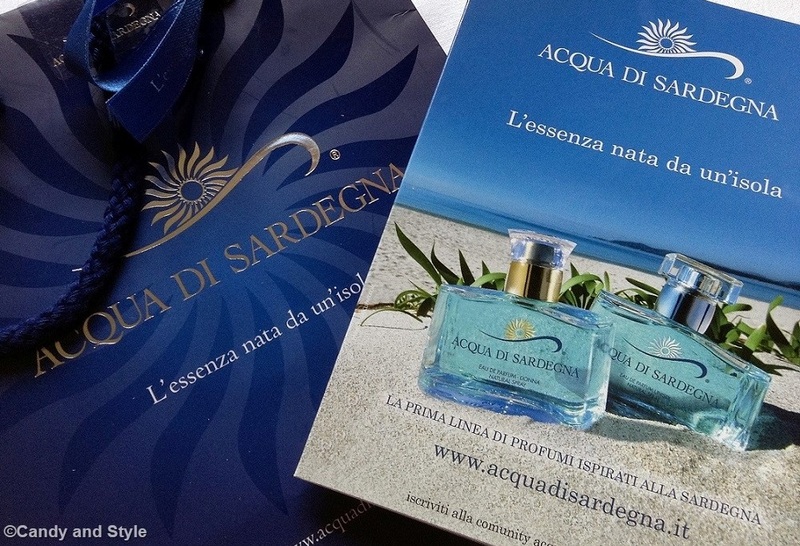 Acqua di Sardegna, dovrebbe essere buonissima, sono curiosa di sentirne la fragranza! Dear Lilli, the headnotes of this perfume are totally me. I love especially the smell of orange and mint.I´m sure a perfume that remind you of sun, summer and ocean smells very interesting. I wish you a great weekend cara Lilli. Bella la fraganza! Un bacione. Thank you, my dear Lilli. I am much richer this year for having you in my life. Mai sentito parlare ma le note sono stupende rosa, mandorla ... La pubblicità è proprio bella!! Dai se fossi nel titolare del brand ti spedirei 10 flaconi omaggio ALTRO che ricomprarlo! Un bacio affettuosissimo! Hmmmm Lilli, I bet it smells so good! I like perfumes that are fresh and light which this seems to be. Too bad they are only sold in Italy. But I'm sure this perfume evokes the fragrance and freshness of Sardinia. Happy Weekend. The perfume sounds lovely and would be a nice summertime fragrance. thanks for sharing. My husband used to have Acqua di Parma - wonder if it is made by the same Fragrance house. The smell sounds very interesting! Ciao Lilli. Io non ho ancora avuto la possibilità di provarlo ma ne avevo già sentito parlare. Ciao Lilli! Acqua di Sardegna? Non conoscevo questa fragranza, deve essere buonissima e la voglio assolutamente provare!!! Non conoscevo questo profumo, adoro le fragranze floreali e fruttate ma fresche al tempo stesso! This is my first time hearing about it, but I am sure it is good since you are buying it again. If you're buying another bottle Lilli, it must smell good! Looks lovely! ciao Lilli! Non conoscevo questa linea ma mi piacerebbe tanto provarla. Adoro le fragranze fresche, realizzate con agrumi e fiori. non avevo mai sentito di questo profumo. Beh, già il nome è una garanzia...questo è sicuramente da provare!!! Seems to be a great product, a perfect mix of fruit and flowers....and sun - like Sardinia. Non ne avevo mai sentito parlare, che voglia di provarla ora...mi piacciono i profumi freschi! Ma che meraviglia dolce Lilli!